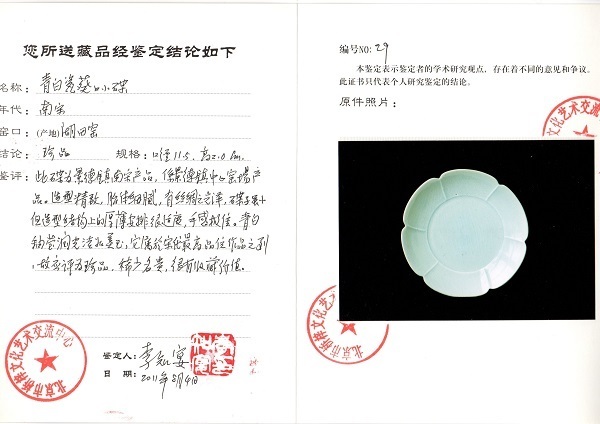 Appraisal：This dish is made in Jingdezhen from the Southern Song dynasty. 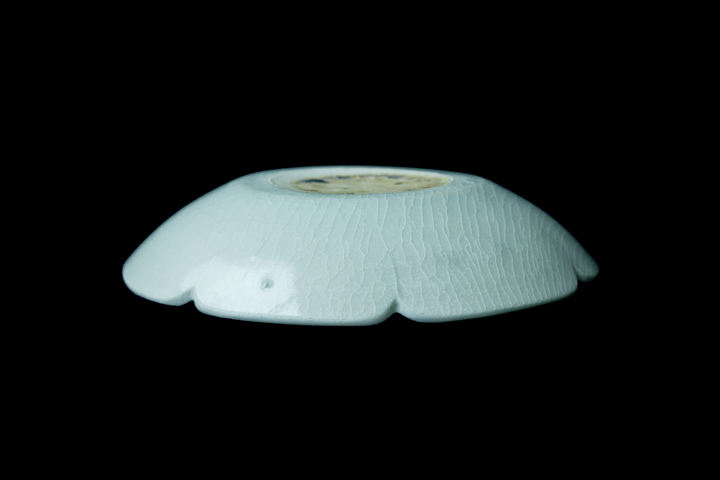 This object was made in the main kiln of Jingdezhen. The shape is exquisitely formed, the body clay is very fine and smooth, and contains a sheen that reflects like silk. 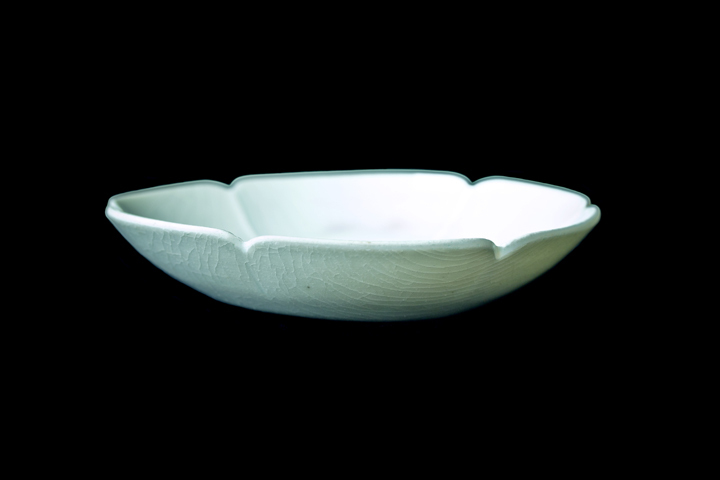 The dish is small, but its molding thickness on the structure arrangement is moderate and proportionate, and tactile quality is superb. 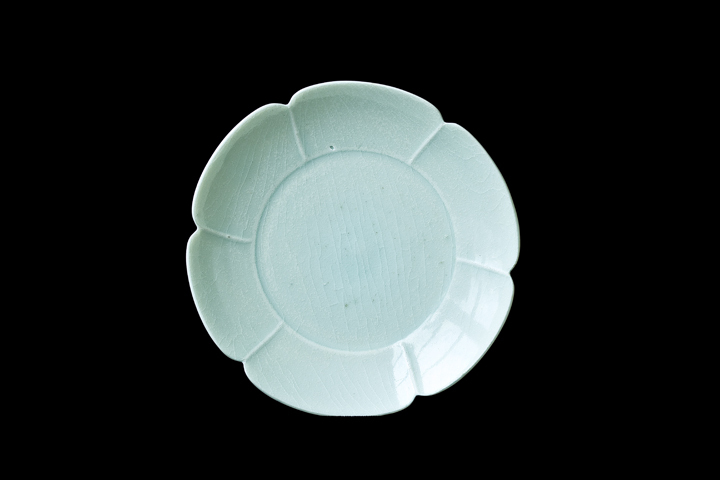 The celadon glaze is sleek, smooth, shiny, bright, and luminous as jade. 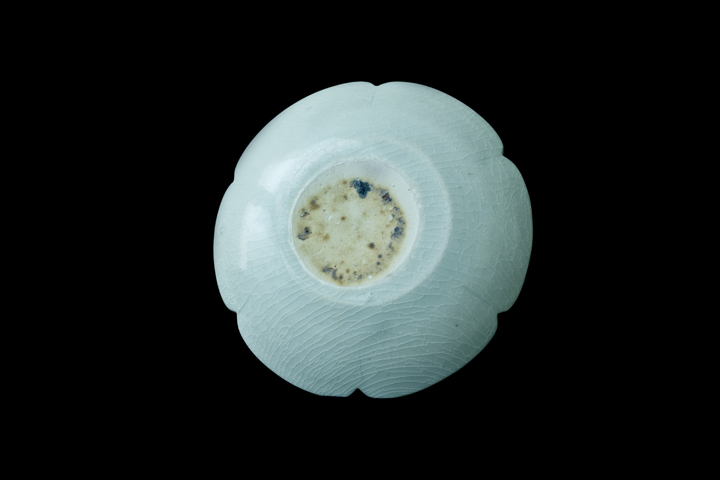 It belongs to the list of works of the highest grade in the Song dynasty and should be rated as a rare gem. It is extremely rare and precious, so is highly collectable.